Clementine, now a fierce and capable survivor, has reached the final chapter in her journey. After years on the road facing threats both living and dead, a secluded school might finally be her chance for a home. But protecting it will mean sacrifice. Clem must build a life and become a leader while still watching over AJ, an orphaned boy and the closest thing to family she has left. In this gripping, emotional final season, you will define your relationships, fight the undead, and determine how Clementine’s story ends. The Walking Dead: The Telltale Series - The Final Season: Episode 4 - Take Us Back was released on PC, PS4, Switch and Xbox One 23d ago in the US and the UK. Notify me when The Walking Dead: The Telltale Series - The Final Season: Episode 4 - Take Us Back is available. 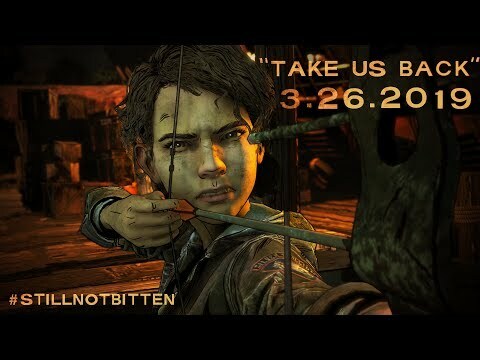 Based on 1 The Walking Dead: The Telltale Series - The Final Season: Episode 4 - Take Us Back reviews, The Walking Dead: The Telltale Series - The Final Season: Episode 4 - Take Us Back gets an average review score of 75. The Walking Dead’s and Telltale’s goodbye succeeds by closely examining the mother/son dynamic between Clementine and A.J.